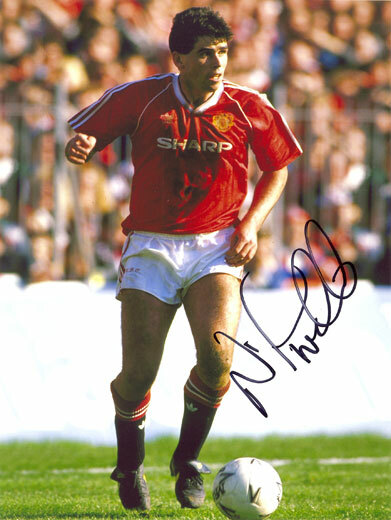 8x6 inch colour photo personally hand-signed in black sharpie pen by former Manchester United midfielder, Neil Webb. Webb joined Man Utd from Nottingham Forset in 1989 for £1.5 million and played at Old Trafford until 1992 when he rejoined Forest. He was capped 26 times for England.